Zesty and agile in stop-start city traffic with a quiet, spacious and refined cabin. It's a slightly smaller, cleaner and more affordable Prius. Around 20 years ago Toyota revealed the Prius, a hybrid powered family saloon that normalised the concept of a car sharing both petrol and electrical power. It was an ecological stepping stone from fossil fuels to planet saving electric cars. The concept was simple; stick a small petrol engine in the front of the car, bolt a small electric motor on to the side of it, and hide a battery pack somewhere under the rear seats. A computer will decide what form of power to use and when, from 100% petrol power to 100% electric energy and any combination of the two. Toyota promises the Yaris will return an impressive 78.5pg, a figure that some noisey, polluting diesel cars would struggle to match on a good day. 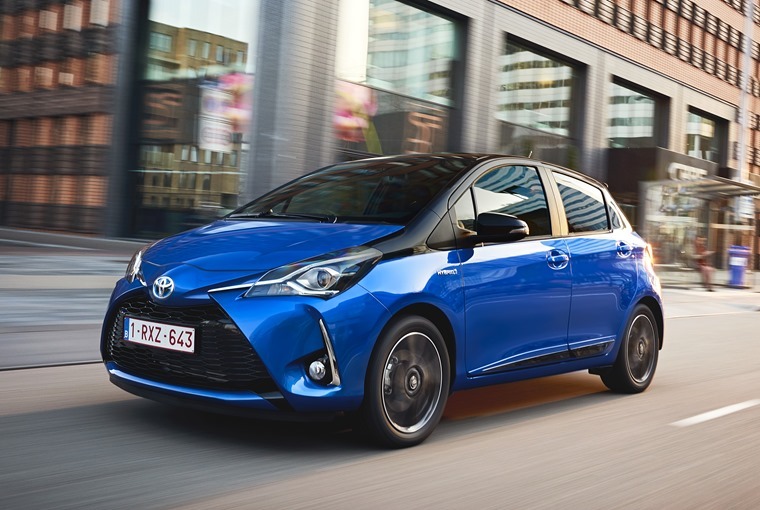 Since then Toyota has fitted the system to countless cars, from luxury sports cars from Lexus to this, the second smallest car Toyota makes for the UK, the Yaris. This particular generation of car has been around for four years, so Toyota recently gave it a little cosmetic surgery that brings the front end into line with the rest of the model range, while also taking some time to look at the chassis to improve ride and handling. The hybrid rides more firmly than the standard Yaris, compensating for the extra weight it has to carry around, but the ride quality is mostly pretty good. It glides over much of the country’s broken roads without an issue, while the increase heft and tougher springs makes the car feel more substantial than its lightweight siblings. However, while it rides the small stuff well, those longer undulations upset it in a way that you won’t find on a Ford Fiesta or Seat Ibiza, and it falls short of the same rivals when it comes to sporting ability. 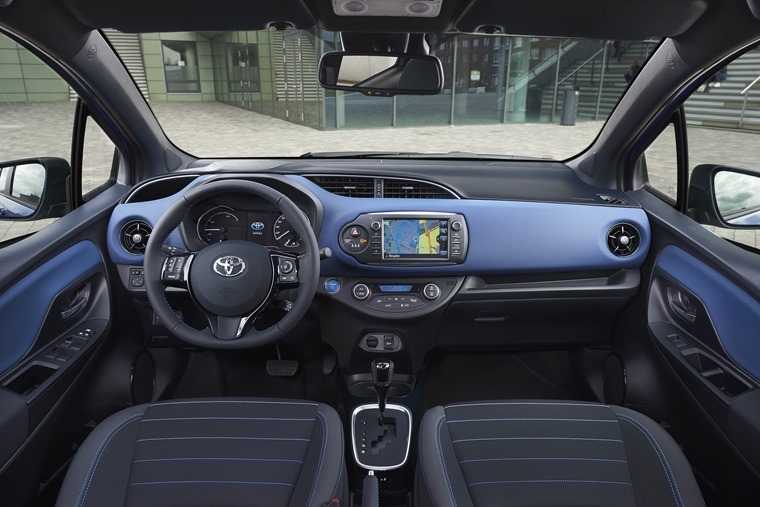 Instead the Yaris Hybrid feels somewhat cautious, trying consciously to prevent you from having fun and remaining true to its eco-car pretensions. Enthusiastic cross country runs are not its ideal habitat, the car being much happier in stop-start city traffic where it feels zesty and agile. The hybrid rides more firmly than the standard Yaris, compensating for the extra weight it has to carry around, but the ride quality is mostly pretty good. Being the hybrid model, its economy is a talking point. 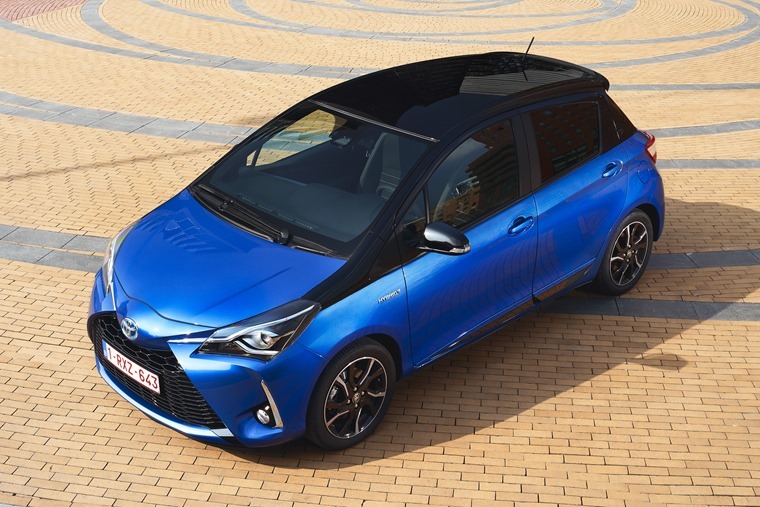 Toyota promises the Yaris will return an impressive 78.5pg, a figure that some noisey, polluting diesel cars would struggle to match on a good day. The theory is that the tiny battery and motor takes over some of the urban running, with the ‘EV’ light shining on the instrument binnacle when it does. And it does do just that, arguably more frequently than you might imagine. It doesn’t appear to make a huge difference to economy though, with the on-board computer reporting around 50mpg after my time with the car. That’s only 10% or so better than my own 18-year old Yaris, but I’m sure it’s relatively easy to do better than I managed and that doesn’t take into account the extra benefits to be found by running the hybrid. There are obvious tax benefits to the hybrid, including first year’s car tax of £100 and a Benefit in Kind burden of just 17% for company car drivers, but they’re actually secondary to the quiet and refined cabin that electric power provides. The car is near silent when running in pure EV mode, while the 1.5-litre petrol engine is barely audible when it fires up to assist. It’s certainly quieter than any diesel car out there. The cabin itself is pretty spacious, especially in the rear, and there’s more than enough Tokyo tech to keep prodding fingers happy. It’s solidly built too, although the plastics are a tad hard in places and there’s not a huge amount of design flair, but don’t look too closely and you might mistake this for being a larger model from within the range - with leather and Alcantara trim, chrome highlights and automatic-everything, this top-level Excel spec really pushes the boat out. Alas, that increases the monthly leasing price by an average of £35 compared to the basic Active trim*, but allows those who live in the city to enjoy the delights of pain-free, economical and sophisticated motoring. 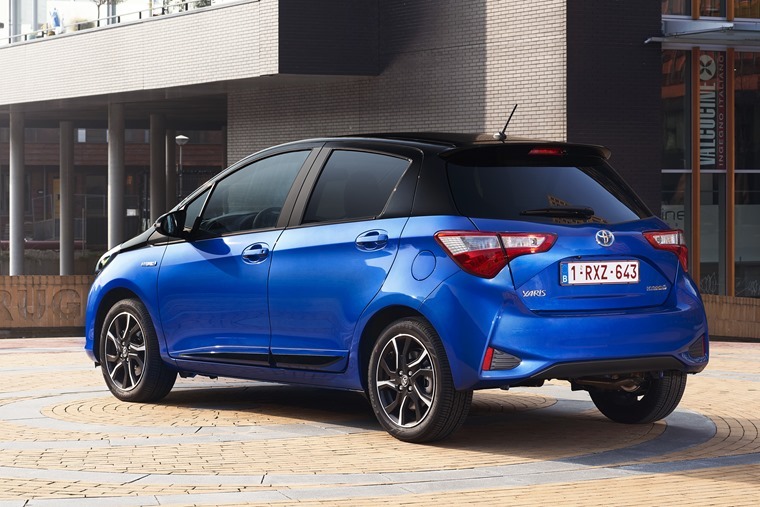 It’s definitely not the right car for everyone, but the Yaris Hybrid will make sense for many.